Earlier this year, Shaan Shiv Suleman created @beingmetafit, a twitter page to inspire and motivate people across the world in achieving their fitness goals through motivational writings and informative articles on fitness and nutrition. While the brand presence is dominantly on reading/writing based platforms at present, Metafit plans to expand beyond the realm of twitter and medium. Metafit will soon become a large source of information for those looking for personalized assistance and aid in pursuing their fitness goals. 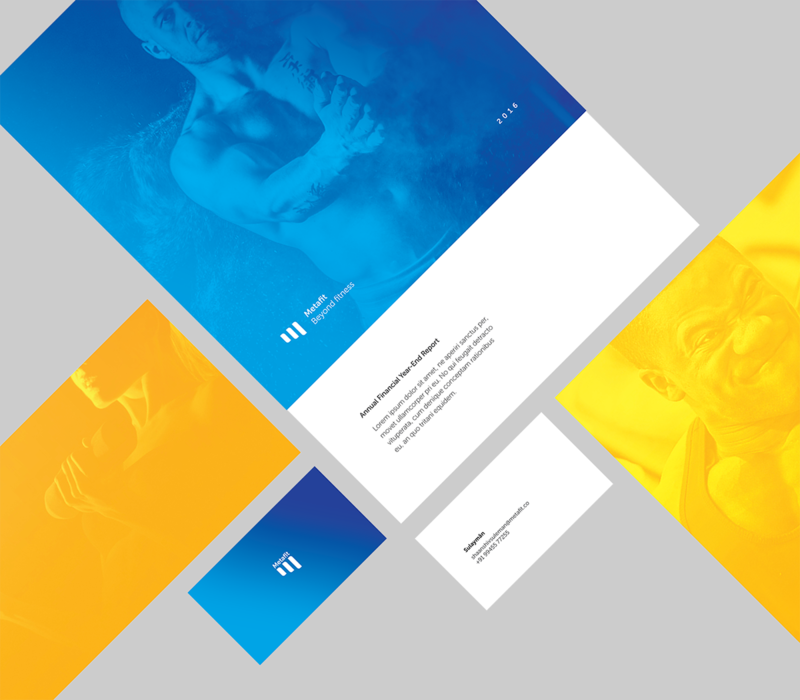 This project looks into creating a powerful brand presence for Metafit using the principles of simplicity, memorability, versatility, uniqueness, and appropriateness. 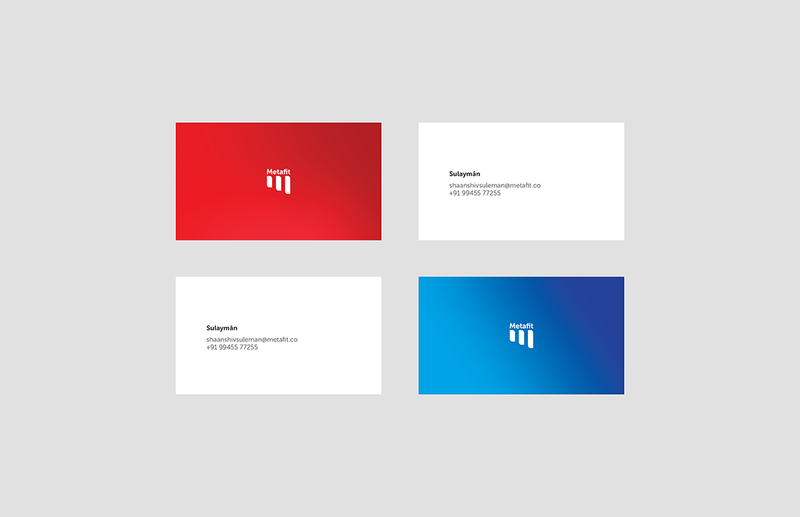 The Metafit logo makes use of the Gestalt principles of grouping, such as connectedness, similarity, and proximity. 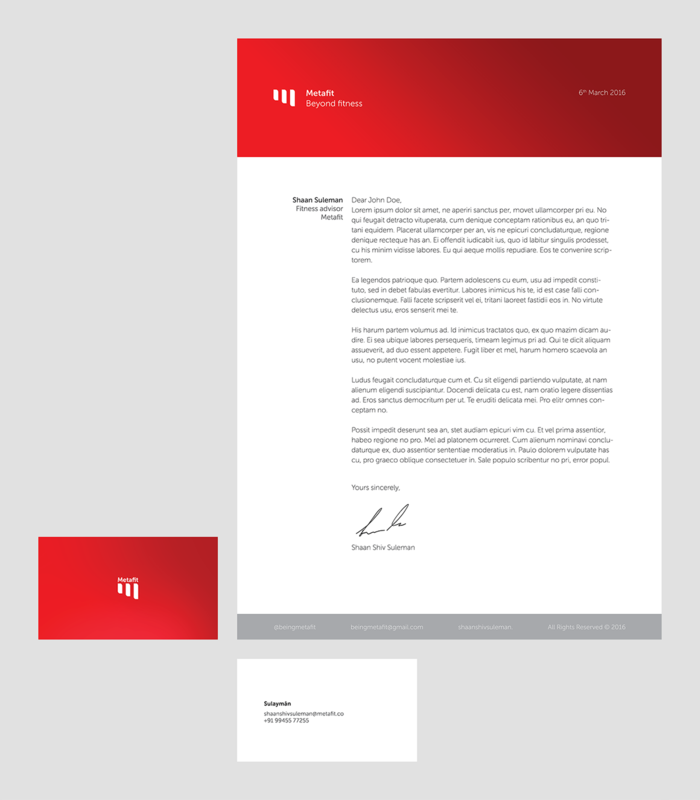 The logo uses three equally-spaced identical shapes with the addition of added length. 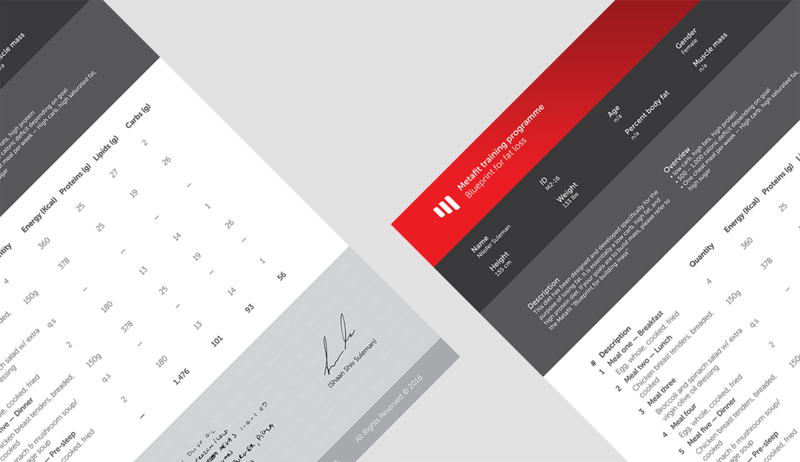 While this form can can be viewed as three separate lines equidistant from each other, the mind tends to perceive the 'whole' and interprets the data available to form the letter 'M'. 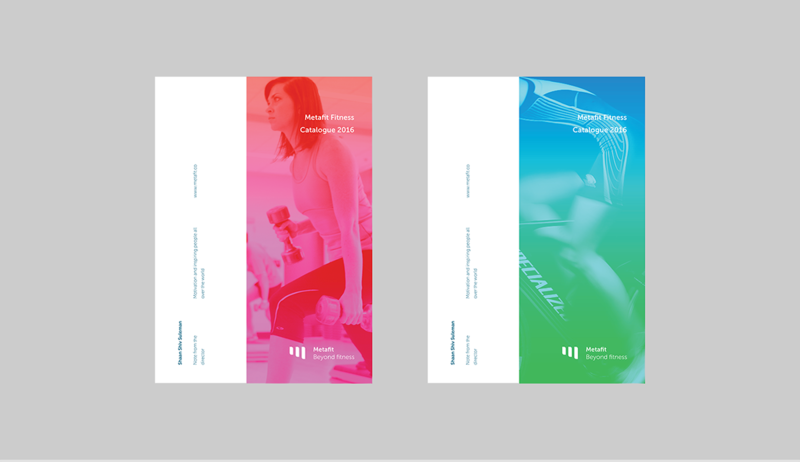 Branding & identity for Metafit, a fitness and nutrition brand. 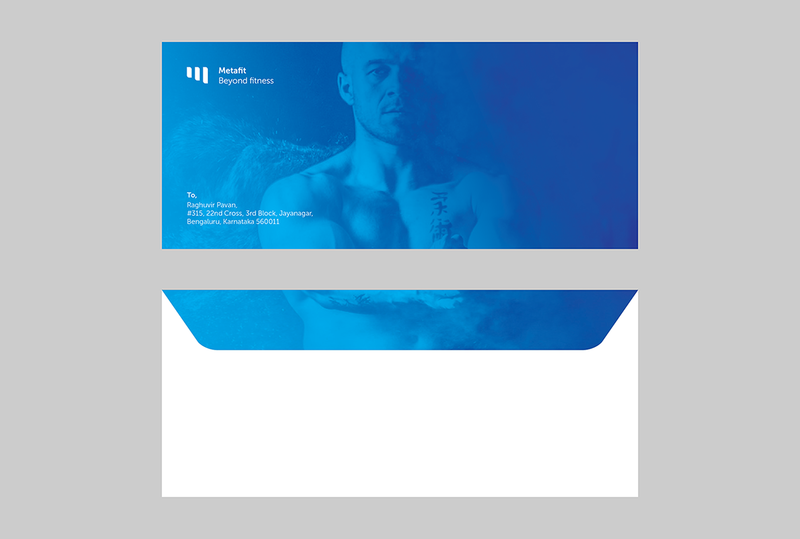 This project strived to represent the brand’s services as well as it's beliefs, ideas, and values.